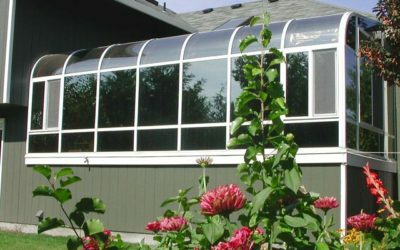 Curved-eave sunrooms are one of the most favored designs among our customers. Our unique continuous-beam design allows smooth transition from the roof to the front wall. Whether your inspiration is to fill your home with natural light, add an elegant dining room, foyer, beautiful garden room, or simply a room to relax after long day of work, Global Solarium will help to achieve this wonderful transformation. Our wide bay spacing in curved-eave solariums maximized your viewing. 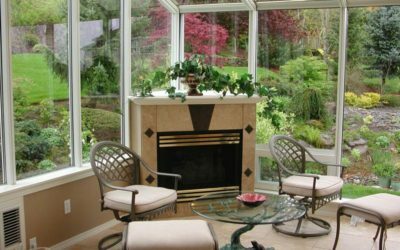 Global Solarium is perhaps the only sunroom manufacturers that designs and builds custom high quality glass enclosures that you will be proud of. Straight eave sunrooms, also known as studio sunrooms are one of the most popular sunrooms available on the market. Simple design results in easy installation and adaptation to any home style. Our straight-eave sunrooms offer elegant and natural extensions to existing roof lines. 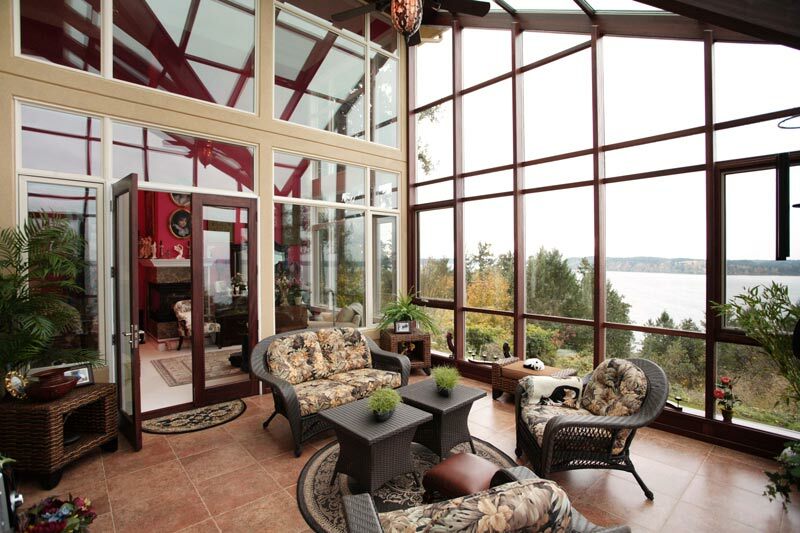 Global Solarium’s custom sunroom design does not limit our customers to a specific size or architectural style. Our sunrooms frames are available in three standard and also many custom colors, we only use dual-pane, tempered safety glass. 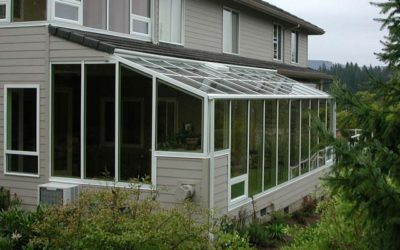 Originally, sunrooms were constructed using steel framing material. Modern day technology allows Global Solarium to provide our customers with a choice of vinyl, aluminum, or wood interiors. The exterior of our sunrooms are always extruded aluminum to protect your investment from harsh weather conditions. Global Solarium provides the true four season sunrooms, with thermally broken, heavy-gauge, extruded aluminum frames and double sealed, dual pane insulated glass, available in various thermal protection stages. Global Solarium straight-eave sunrooms bring the outside in, lighten up and expand your living space, and most of all, add value to your home.